It might have his name, but it's not affiliated to rapper Kanye West. 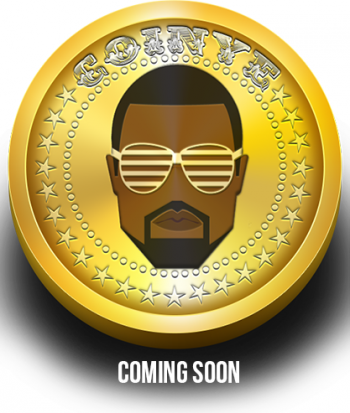 Bitcoin's latest rival, Coinye West, is due to launch January 11th. Coinye's creators promise there will be "no screwed up fake "fair" launches, shyster devs, muted channels, and f**ked up wallets." It aims to be a Bitcoin for the masses. Hear that, masses? Someone's making a digital cryptocurrency for you. Aren't you lucky? Yes, it is named after rapper Kanye West, but it isn't affiliated with him in any way. The currency's creators don't want to get West upset, and have offered him 100,000 Coinyes if West contacts them before launch. They picked his smiling face because "he is and always will be a trendsetter," just like they hope to be. The idea is to make it simpler for users to get hold of cryptocurrency, by making mining much easier for non-tech people. Its CoinyeMiner program will make getting hold of digital currency a breeze, its creators claim. Whether or not anyone will accept Coinyes as currency is, as yet, an open question. It's not the only not-quite-Bitcoin Bitcoin on the market right now. Fancy a shot at Dogecoin, the only cryptocurrency so cool it's favored by Shiba Inus worldwide? Or for slightly more serious contenders, there's Ripple, Litecoin - which also aims to make the mining process easier for non-techies - PeerCoin and Namecoin.